Enhancing its beauty square measure the glorious red and white stones whereas the bottom of the studs is adorned with minute pearls and is hooked up to gold plated metal topped pearl hangings. The glitter of gold plated brass metal set in a beautiful design forms the stud of this beautiful pair of earrings. 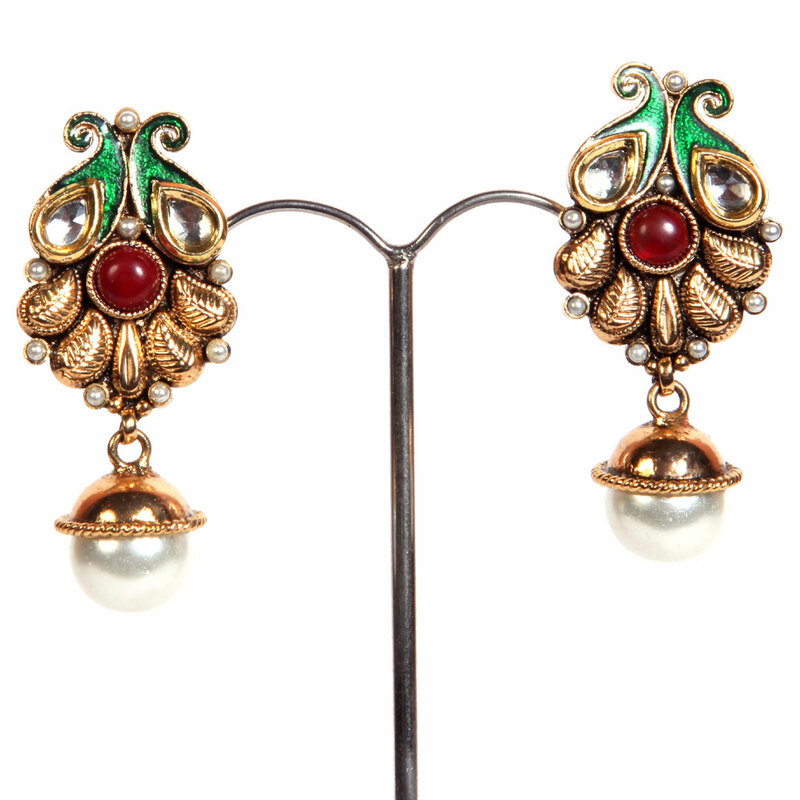 Enhancing its beauty are Read More..the magnificent red and white stones while the base of the studs is adorned with minute pearls and is attached to gold plated metal crowned pearl hangings. Show Less..